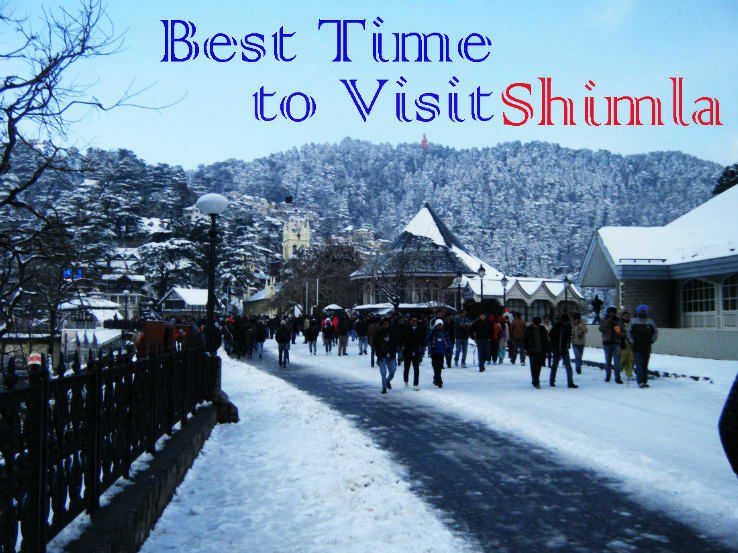 The most popular months are the months of March to June when most of the tourists visits Shimla. This is the time when the temperature remains between 15-30 degrees making it comfortable for the tourists to try the sightseeing and other activities. The temperature of the city of Shimla rises in the months of April to June but the average temperature remains around 22 degrees. And some days it shoots up to 30s but that is rare. This is the time which is most comfortable for the tourists especially coming to get relieved from scorching heat of the sun in other cities. The rainfall in Shimla take place between the months of July to September but the highest rains are experienced in the months of July and August which averages around 350mm of rainfall in a month. The temperature drops to negative during the month of December to March and the average low temperature remains around 3-4 degrees.